Dr.Prasanna Neelakantan, the Director of Total Dental Careis a Conservative and cosmetic dentist and Endodontist. He completed both his undergraduation and postgraduation from Saveetha Dental College and Hospitals, Chennai. He is now a senior lecturer in the College of Dental Surgery, Saveetha University. 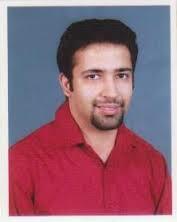 During undergraduation, he received the Saveetha Dental College gold medal in Conservative Dentistry and Endodontics. He also received a gold medal in MDS. He has presented numerous papers in scientific conferences. is major interests include cosmetic dentistry and root canal treatment. He is also engaged in scientific research and has numerous international scientific papers to his credit. Nanotechnology In Dentistry - What Does The Future Hold In Store?